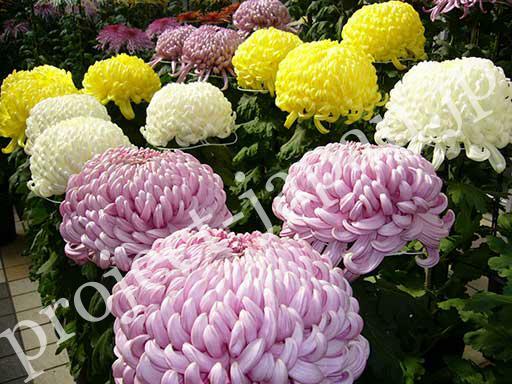 Chrysanthemum blooms in autumn and is the representative flower of Japan as well as Sakura and the symbol of longevity. Its motif is used for the crest of the imperial family. The resplendence of “rangiku”, which petals flowing in the wind, expresses a delicate and aesthetic feeling. *When two words are united in one word, the pronunciation of the initial letter ‘k’ changed to ‘g’ in the latter word. 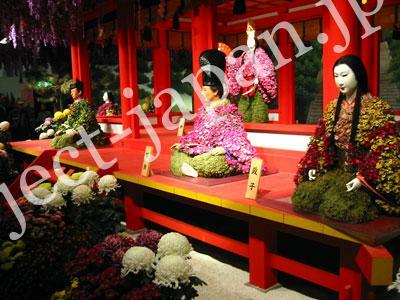 In autumn, Kiku-ningyo (Chrysanthemum figures) which clothes (kimono) are made of colorful chrysanthemum flowers are produced. Usually, it shows a scene of a historical story. 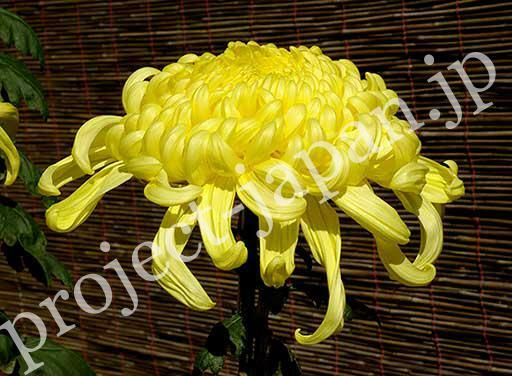 And motifs of chrysanthemum have been traditionally used on kimono, obi, tableware etc.